Two months after Maranatha volunteers constructed 12 One-Day School classrooms at Graceland Seventh-day Adventist School in India, the administration is reporting a dramatic increase in enrollment. At the close of the last academic year, there were 300 students at the school. This new session, which started in April, has 480 students registered. Administration believes that the rise in interest is a response to the new buildings. For years, classes had been held in deteriorated rooms. The failing infrastructure was not only a deterrent to new students, it was becoming dangerous. 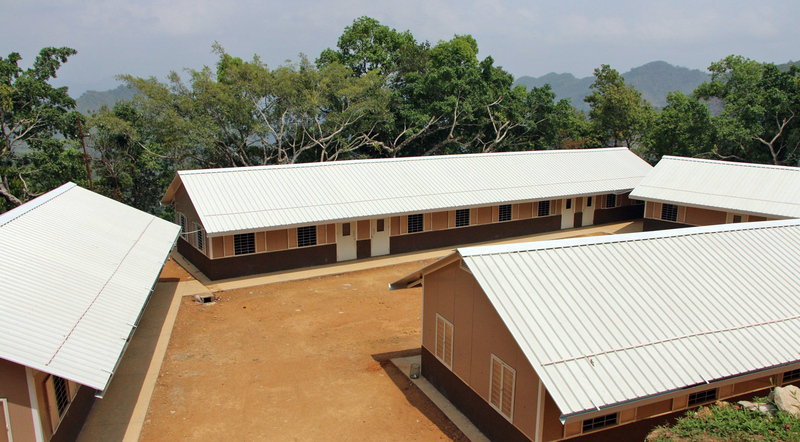 The new classrooms have a concrete floor, steel frame, and insulated roof and walls. The project also included brand new desks, constructed by a local carpenter. Graceland school, located in the northeastern state of Mizoram, was established in 1967 as a way for the Adventist Church to serve the community of Saitual. The campus moved to its current location in the late 1970s. Graceland serves students in kindergarten through high school.